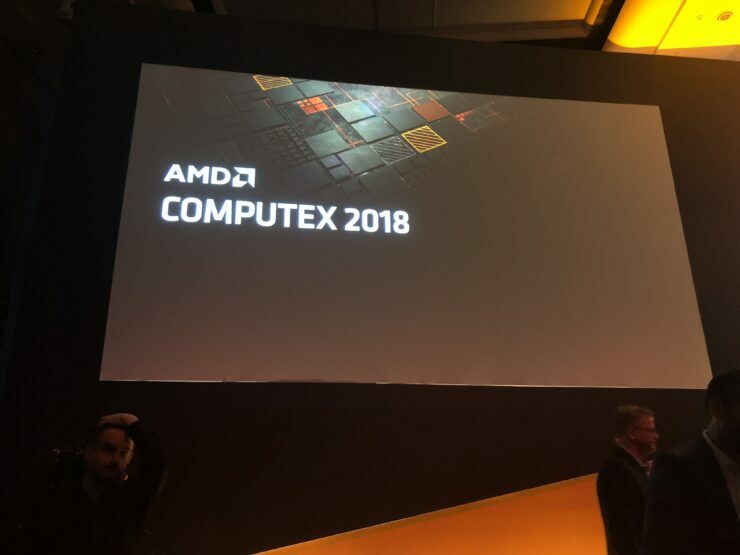 AMD’s Lisa Su has taken the stage at its event in Computex 2018 and one of the first thing she talked about is the company’s EPYC efforts. 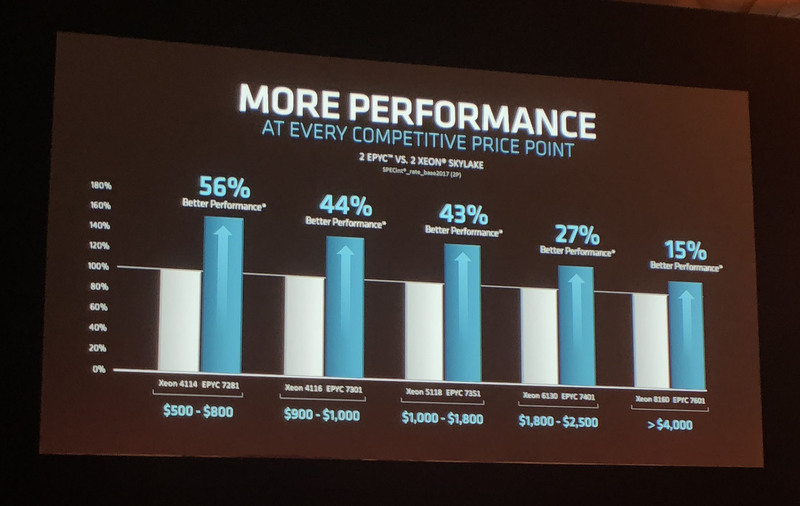 “More performance at every price point” is just one of the statements that she opened the EPYC phase with – along with a couple of benchmarks. EPYC variants were compared against similarly priced Intel ones and shown to beat out the latter. That this is first party data form a competitor and you should take these with just a little bit of salt goes without saying. There is a very clear trend in the benchmarks. When the cost per unit is less than $1000, AMD has a clear performance advantage, as the cost per unit increases (ie you move towards more powerful variants) the margin decreases. Starting from 56% we go all the way down to 15%. We haven’t seen the footnotes for the asteric next to “Best Performance” yet, but its a fair bet that these are atleast partially correct. EPYC has been an increadible addition to AMD’s portfolio and this is just one example of how much of a difference one product can make. 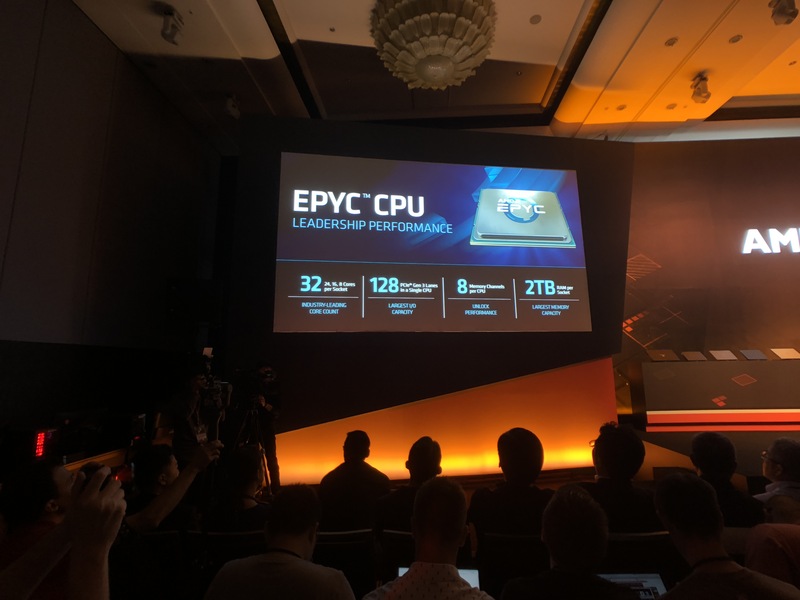 The company also announced three new server efforts: including getting CISCO on board and them pronouncing EPYC the “densest” server computing solution yet. Lisa Su also made a point to re-iterate EPYC’s greatest strenghts calling it the “highest core count in the industry”, “the highest IO count in the industry” and the “highest memory configuration in the industry”. 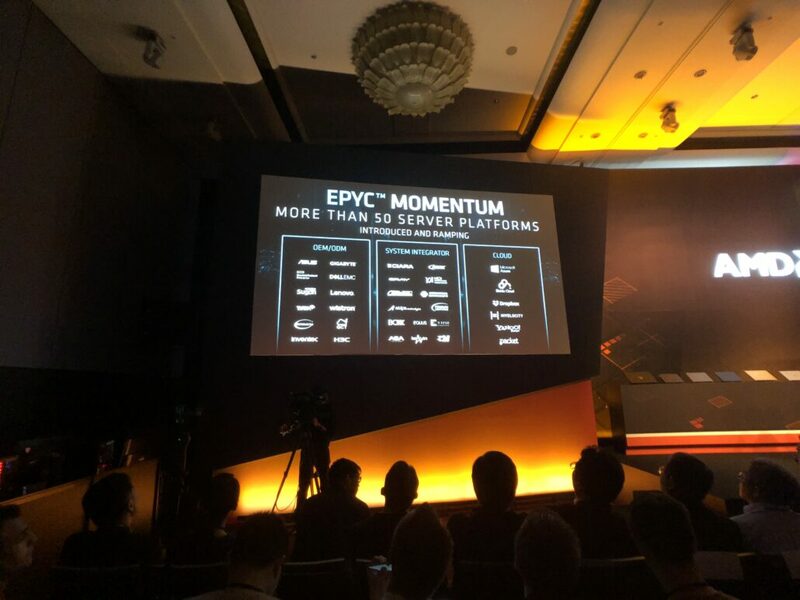 EPYC is just one of the things AMD is going to talke about at Computex 2018 right now and some very exciting stuff is coming up next – including 7nm GPUs!